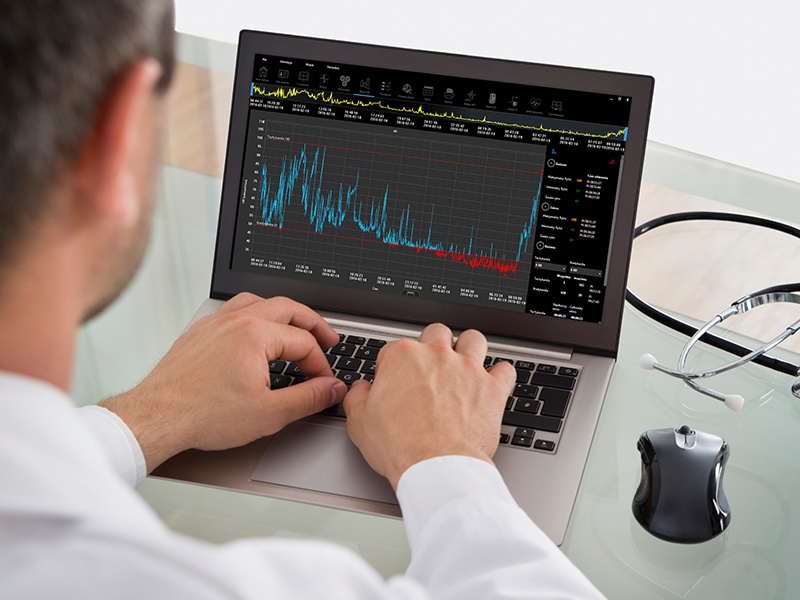 The Comarch e-Care platform was designed for remote medical care, i.e. to monitor the patients’ health status outside of a hospital environment. The solution receives and processes data from measuring devices controlling specific medial parameters, and allows the patients to contact their physicians remotely. Thanks to early diagnostics and remote monitoring of the person under remote care, the Comarch e-Care Platform enables early detection of threats to a patient’s life or health. The system also supports medical staff during analysis of the collected data, enabling internal consultations. Allows connection of telemedicine equipment, receiving and managing data, graphic visualization of data consistent with medical standards, integration with HIS class systems, geographical location of patients, managing work and procedures of intervention personnel, contact with patients through audio and video channels and performing medical consultations in a workflow system. 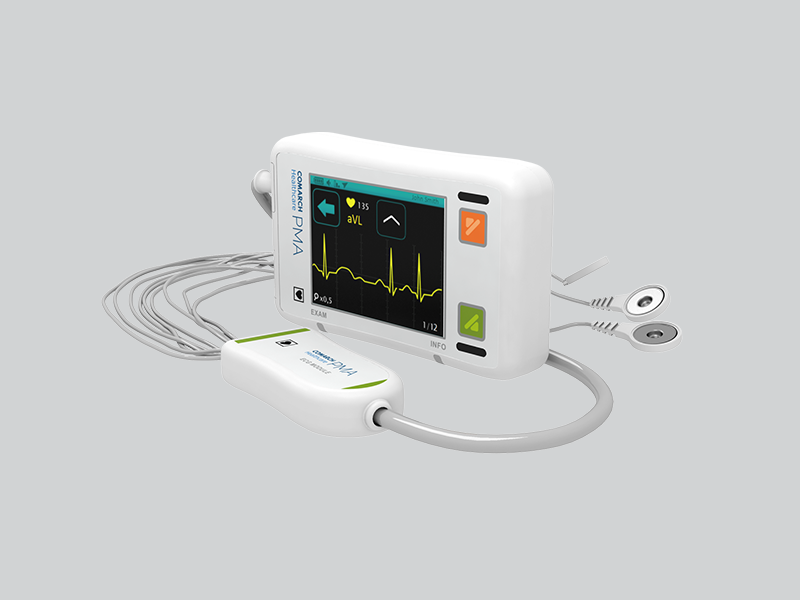 It is a small, portable device, mainly used to register ECG signals and respiratory movements. It can work in Holter mode (only data registration) or full monitoring mode. In the second mode, the device registers all abnormalities and sends them in real time to the Remote Medical Care Centre, where the data is analysed by a team of paramedics. Application designed to precisely record and analyze cardiac data. It is based on advanced and precise algorithms allowing a thorough analysis in the area of, for example, morphological classification of QRS complexes, HRV analysis, or assessment of the ST segment and QT interval. 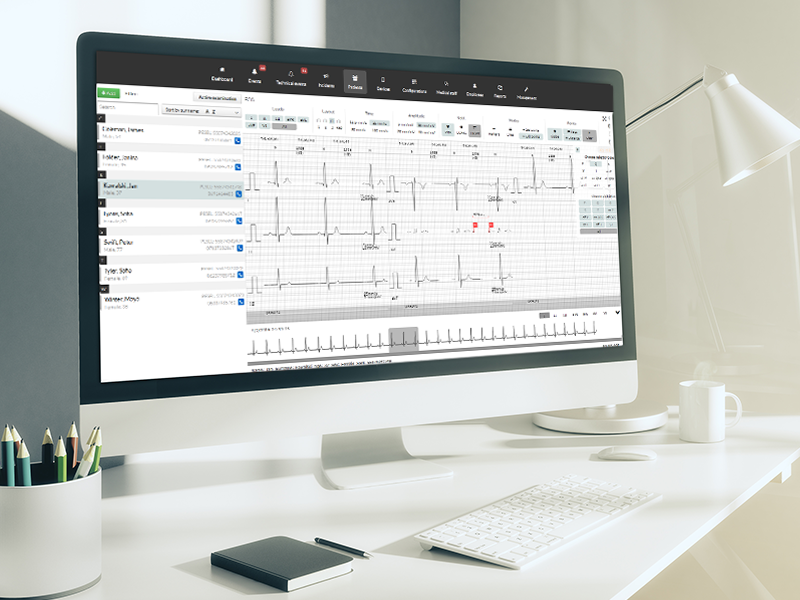 The application manages the entire patient care process, including the analysis of test results, as well as patient data and the resources available (Holter recorders and the medical staff). 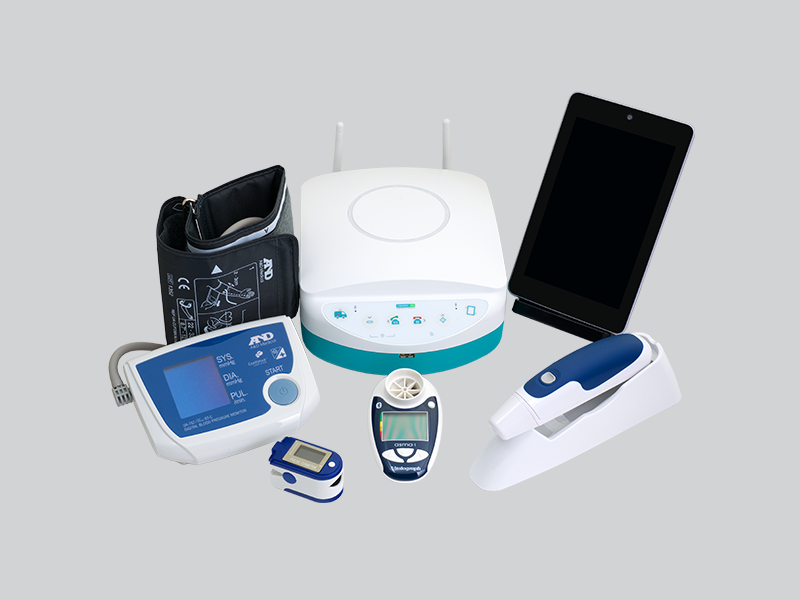 The primary role of the device is the collection of data from peripheral devices, connected to the Comarch SMA wirelessly. 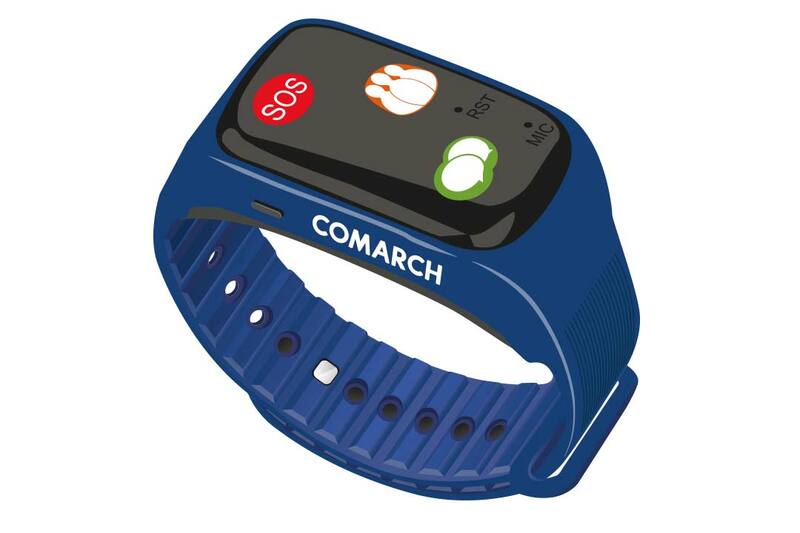 Thanks to the possibility of cooperation with a wide range of devices (including ones supplied by other companies), the Comarch SMA is an extremely versatile tool, which may serve as a household data collection point, or be the first point of contact between the patient and the doctor using the teleconference, voice or text communicator functions. 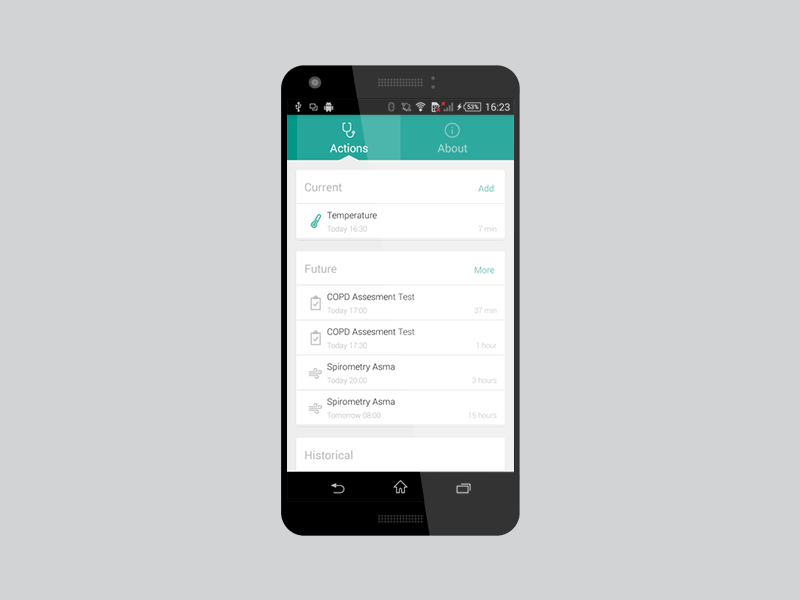 Besides the Comarch HMA device, there is also the mobile application mHMA which connects the selected medical sensors directly with a smartphone (with Android). The connection with the Remote Medical Care Center is then made directly via smartphone. This solution is dedicated to individual clients. 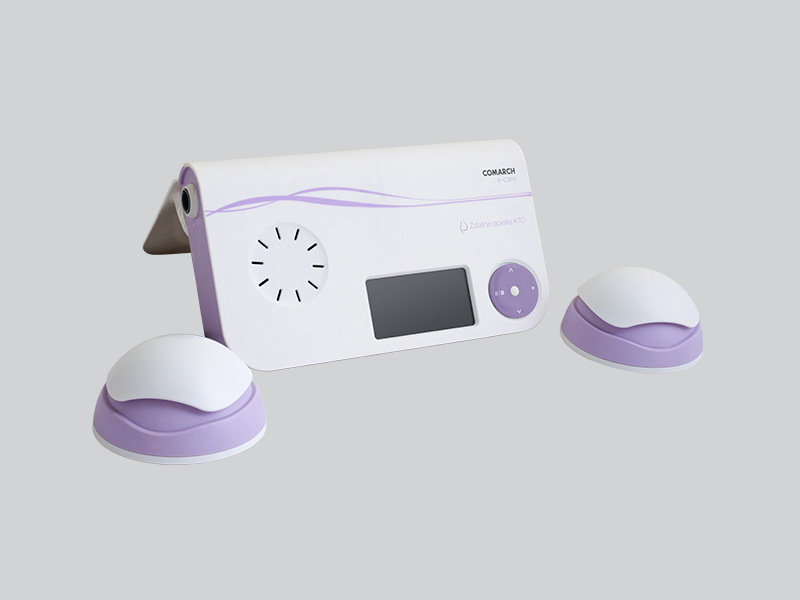 Increases the feeling of security among patients and gives them greater independence. It has an emergency SOS button which permits the patients to contact the Remote Medical Care Center and to call for help. The sensor placed in the bracelet automatically detects a fall and makes an emergency call to the Remote Medical Care Center. Owing to the built-in Life Card, medical staff can read the current emergency data of the patient, such as: personal particulars, age, blood group, allergies, diagnosed diseases, prescribed medicines, and next of kin contact details. A mobile device for performing cardiotocographic tests at home. The acoustic measurement method allows non-invasive recording of the baby’s heart rate and uterine contraction activity. The device transmits data to the Remote Medical Care Center through the mobile telephony network. The heart of the platform. This is where all data registered by the Comarch PMA and HMA is collected. 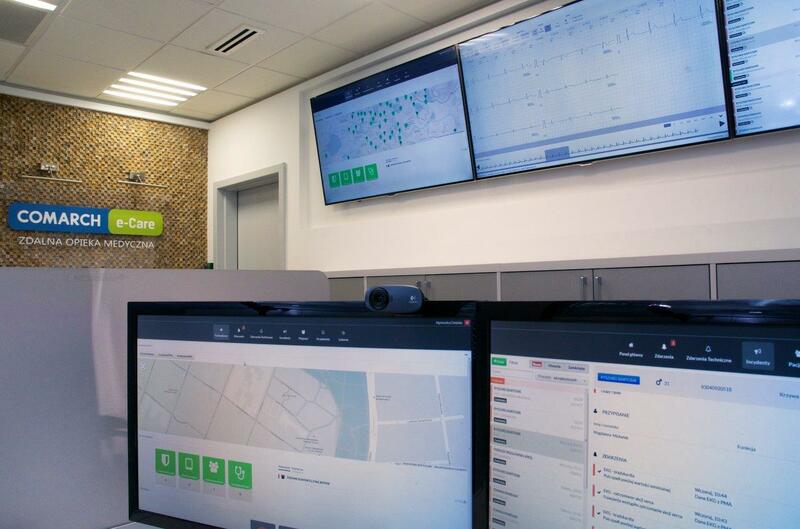 A qualified team of paramedics watches over the health and wellbeing of e-Care platform patients round the clock. In case of an alarm, the Centre’s staff will analyse the data and coordinate further actions.